The One Restaurant is a Taiwanese restaurant located in South Burnaby on Kingsway. 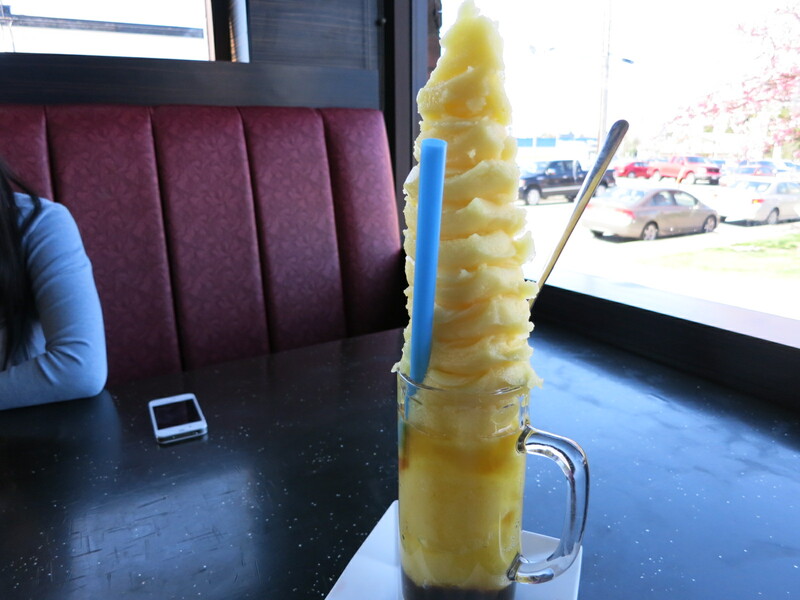 They are known for their ridiculously big bubble tea slush drinks. The inside is actually decent for a bubble tea place and it has a unique atmosphere. I am pretty much in a permanent state of craving bubble tea, so I came here with my friend Melissa try their crazy slush drinks. 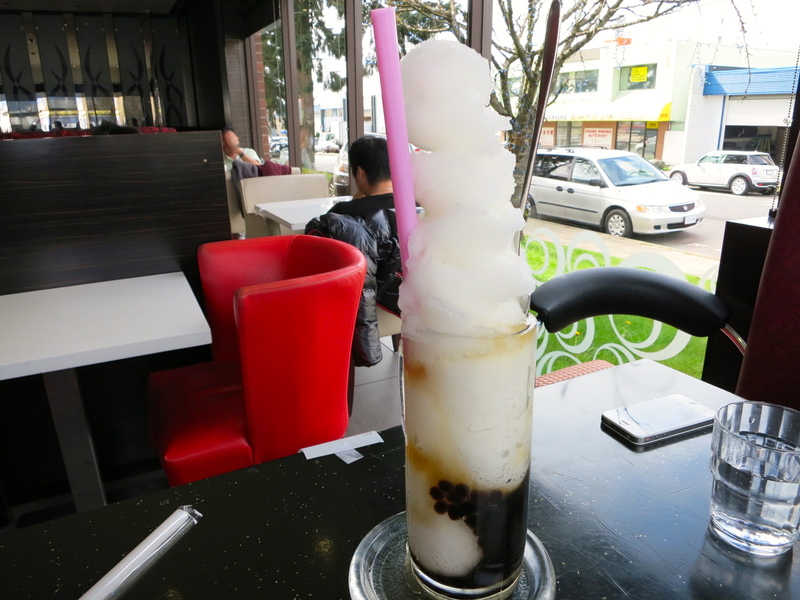 The lychee slush with pearls ($6) was so tall. The servers actually come to the table and scoop it into another cup for you because you could never eat it fast enough to stop it from melting and making a mess. The lychee flavour was slightly tart, sweet, and refreshing. The mango slush ($6) with pearls was equally as impressive. The mango flavour was sweet and mild. Their drinks here are blended nice and smooth so there isn’t large icy chunks. I would recommend sharing a slush if you come here. The servers can split them in half for you and they are so big you could share them with 2-3 people. 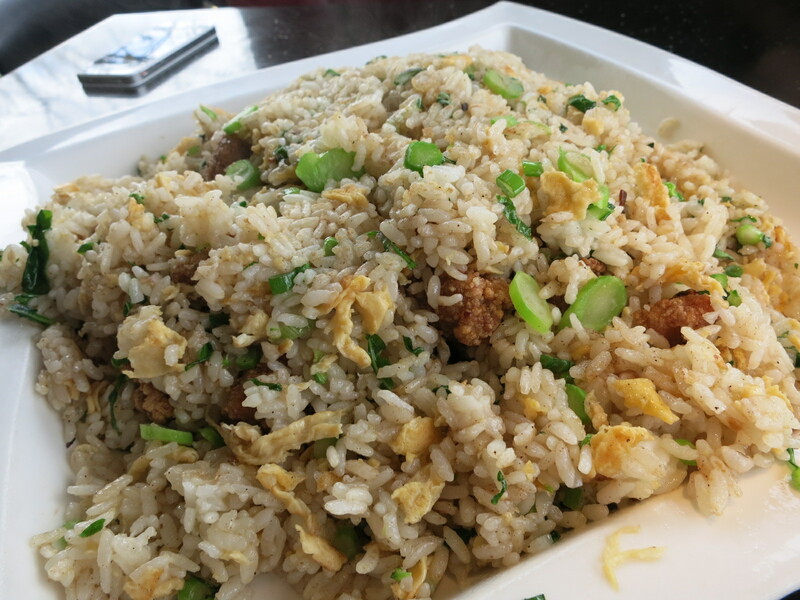 The deep-fried chicken nugget fried rice ($9.99) was also served in a massive portion. We kept joking that we accidentally ordered the family size because this could feed a few people. The rice was moist and the spices from the chicken nuggets were incorporated throughout the dish, which I liked because it gave it a more interesting flavour than just regular fried rice. I loved getting a little crispy bite of the chicken nuggets mixed throughout the rice. The braised beef flank in spicy noodle soup ($8.50) was a solid dish. 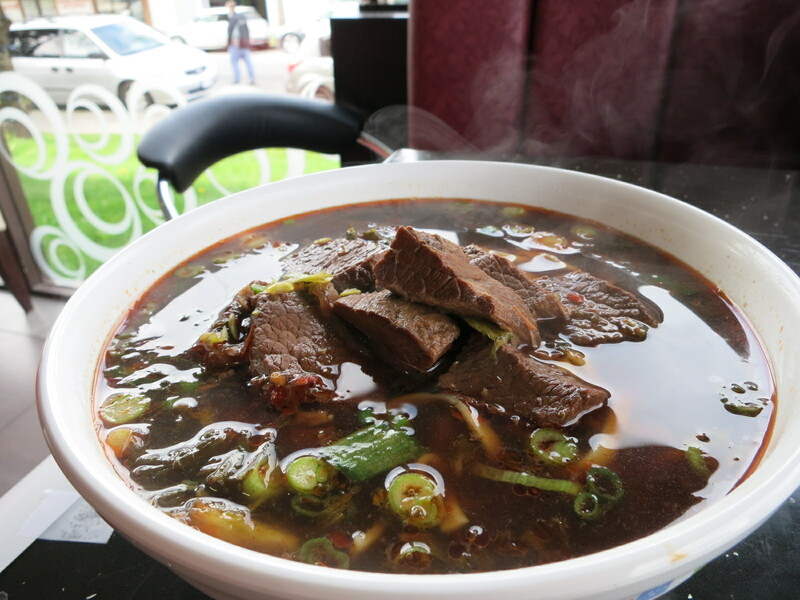 The broth had a strong beef flavour and a hint of spice to it. I would recommend getting the broth spicy because it isn’t actually super spicy, but it adds more flavour to the broth. The braised beef flank was tender, but it could have been a bit more moist. The noodles were chewy and thick. There were so many noodles in the bowl it was actually hard to eat. I think if they put in slightly less it would be better and it improve the broth to noodle ratio. Overall I enjoyed my experience at the One Restaurant and I was impressed with the portion sizes and value. The food was satisfying and their bubble tea quenched my craving. Yes, for good Taiwanese food and great value.